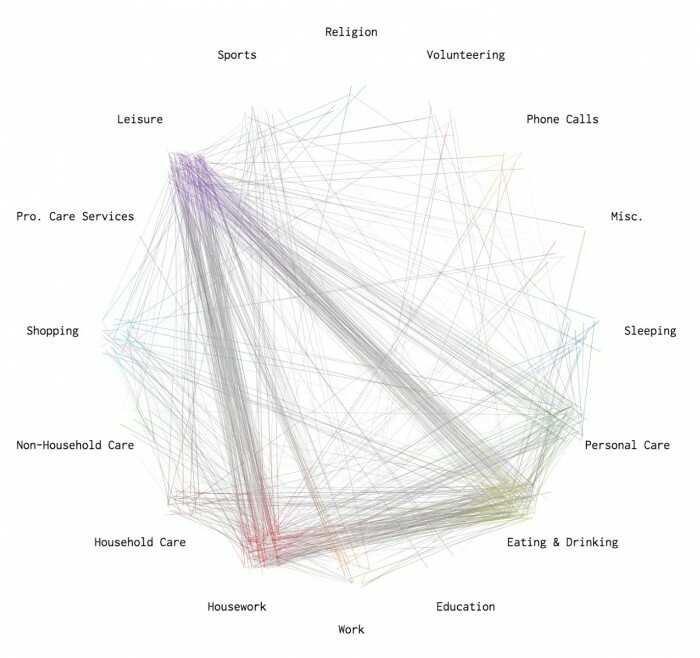 An average day in the life of Americans explored by interactive data visualisations. Posted in Misc and tagged data, visualisation at 2:25 pm on December 17, 2015 by Broadsheet. 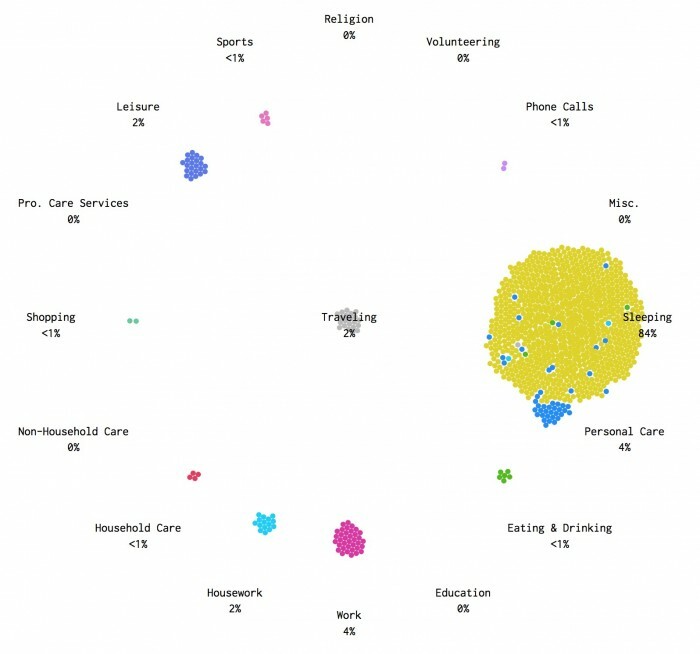 Might one assume that the blue dots of “Personal Care” speckled through out the yellow “Sleeping” area is of the quiet-sleepy-solo-personal-care variety?